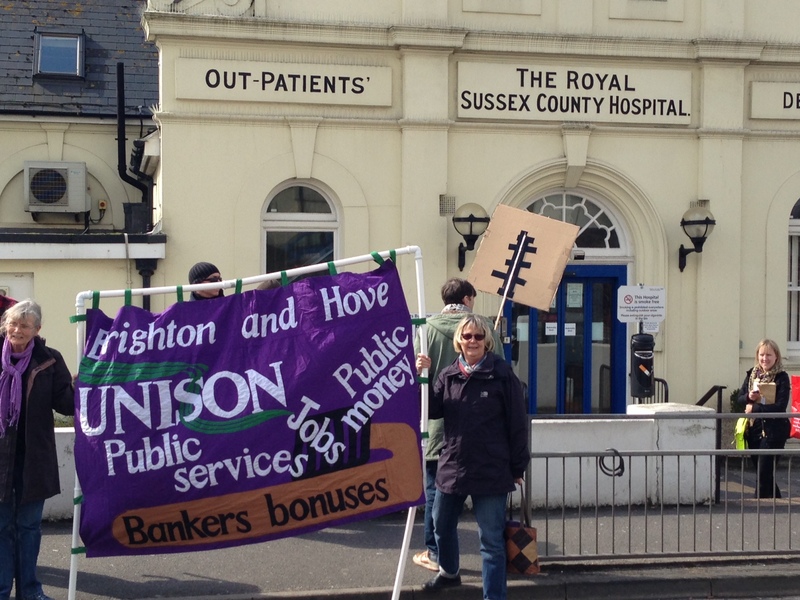 Around 300 people joined the protest, march and rally at the Royal Sussex County Hospital on Saturday, 6th April to defend the NHS against the ConDem government’s attacks. Brighton and Sussex University Hospitals Trust has a new Chief Executive, Matthew Kershaw. He is the man responsible for cuts and privatisation in South London’s hospitals – including plans to shut down the A&E department at Lewisham Hospital. He has already revealed some of his plans for Sussex – including making £30m in cuts and making staff redundant.